A bench will be dedicated Saturday in memory of Jacob Thompson near the Easterm Prom playground, where he loved to play. A ceremony will be held this weekend in Portland in memory of Jacob Thompson, the 9-year-old Saco boy whose battle with cancer inspired tens of thousands of people from across the world to send him Christmas cards before he died last year. Jacob died in November 2017, a week after an early Christmas celebration at the Barbara Bush Children’s Hospital at Maine Medical Center in Portland, where he was treated during his four-year battle with neuroblastoma. 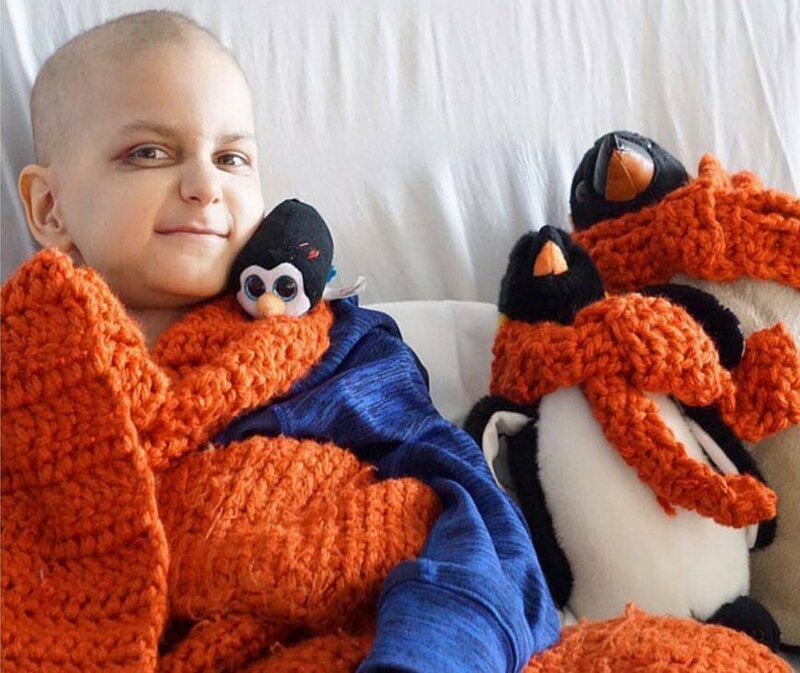 Jacob’s love of Christmas and penguins made headlines across the country when his family asked people to send him cards to brighten his final days. In addition to his love for Christmas, Jacob loved penguins, the color orange and playing on the Eastern Promenade playground in Portland. His fondness for that playground inspired firefighters from the Munjoy Hill Firehouse and the Munjoy Hill Neighborhood Organization to start a campaign to raise money for a bench in honor of Jacob. The public is invited to join the association, firefighters and Jacob’s parents at 11:32 a.m. Saturday to dedicate the bench. The time was chosen because 32 was Jacob’s favorite number. The ceremony will be at the playground on the Eastern Prom at Turner Street. Before his death, Jacob received more than 66,000 cards, gifts and video messages from around the world. After Jacob’s death, his father, Roger Guay, said the cards made his son smile and feel special.